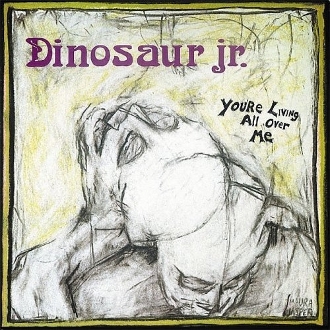 In this excerpt from the latest in Continuum’s 33 1/3 series, Nick Attfield reaches for the truth of Dinosaur Jr.’s 1987 album You’re Living All Over Me only to learn how lyrical ambiguity can put a live rabbit in a man’s mouth. Attfield is usually found at Oxford specializing in the cultural and political contexts of 19th and 20th century German and Austrian music. You can also read the opening chapter of Attfield’s book on the 33 1/3 blog.